Enter your email address below to receive a notification when Helping Animals At Risk starts accepting new sign-ups! Enter your email address below to receive a notification when Helping Animals At Risk is accepting new sign-ups again. 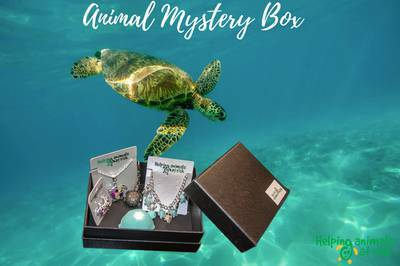 Each month we will select one or more animals, and include at least 5 items centered around them: necklaces, earrings, brooches, pillow & phone cases, mugs, plushes & toys... the best items we can get you each month, always guaranteeing they would total at least $50 retail if purchased individually. We design new products each month so be sure you will get exclusive products! This box is so pretty the jawlery is stunning and the box it comes in is lovely.Extra bonus is helping animals can’t wait for the next one . 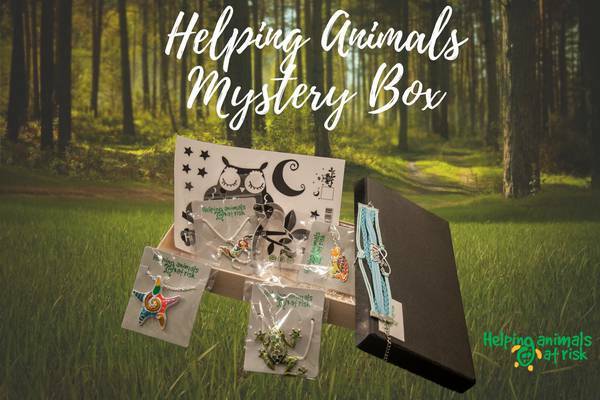 Thank you Helping Animals at Risk for great items. I love them so much. Thrilled with this subscription box! I couldn't be more thrilled with this subscription box. Even my daughter loved them so much. We get compliments every time we go out in matching jewelries, she would wear the necklace and I would wear the earrings. Every box has been a winner, we both look forward to it every month and can't wait for the next delivery. Thank you for this subscription. My kids and I love them so much. Keep on surprising us with great items. My mystery boxes that I received so far are really vibrant and I really love them so much. So excited to get my January Box! I gave this as a gift to a friend and she was happy with the items inside. Highly recommended for someone who likes colors and great pieces! The most unique Christmas present I have ever received. They are colorful and pretty. I will definitely continue my subscription on this one. Nice item and great customer service..
My box made my day! When my box arrived, I was so excited to see whats in it and I was surprised that the items were great and colorful!!! It really made my day!